On Amazon.com 现在这种 highly rated 的深锅煲汤锅 ，T-Fal Specialty 12-Quart Stockpot 减价后 for only $16.46 (regularly $28.30). 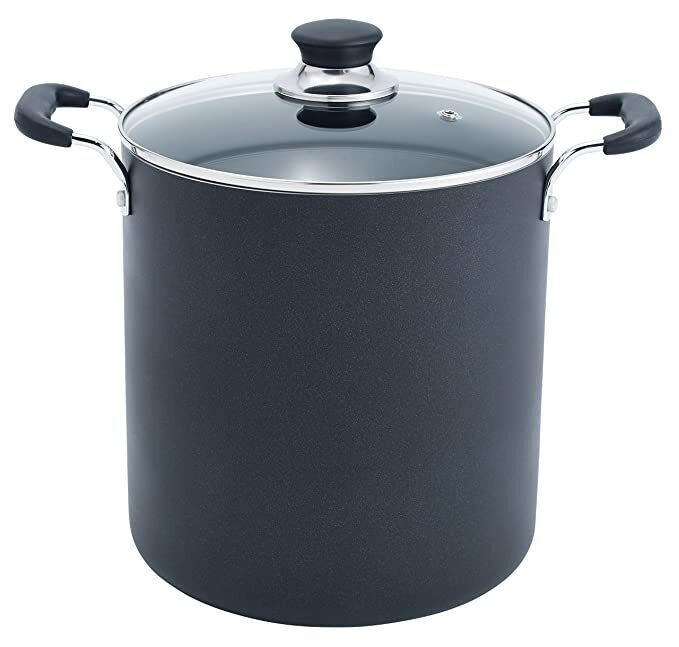 This stockpot is perfect for cooking family size meals and is dishwasher and oven safe up to 350 degrees. The glass lid allows you to watch the cooking progress and it has a vented hole to let steam escape so it won’t boil over.